Cram & Ferguson has been working with the Archdiocese of Boston on renovations to the Belfry of The Cathedral of the Holy Cross to for the installation of 5 bells. These bells used to housed in Holy Trinity German Catholic Church. 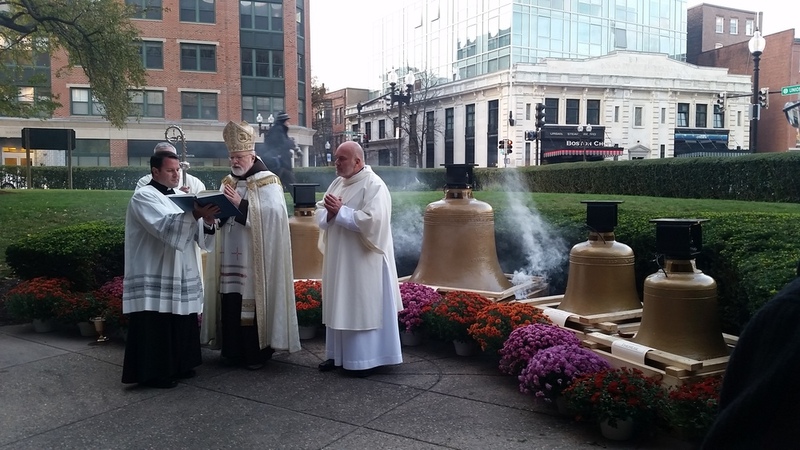 On Sunday evening, a blessing of the bells ceremony took place at The Cathedral of the Holy Cross with Cardinal Sean O'Malley.